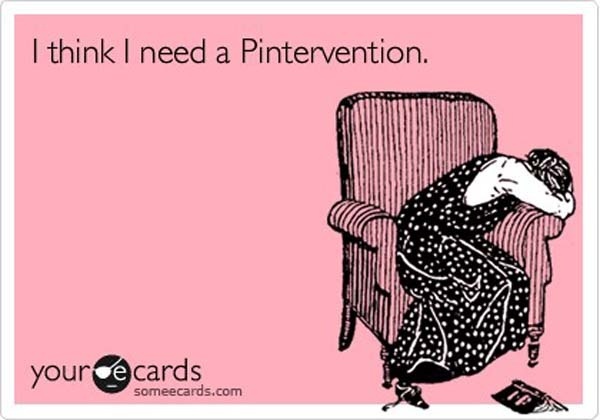 I believe I have mentioned in a previous post that I have a Pinterest addiction. It’s terrible. There are just so many great ideas, so many beautiful pictures of perfect… well, everything. 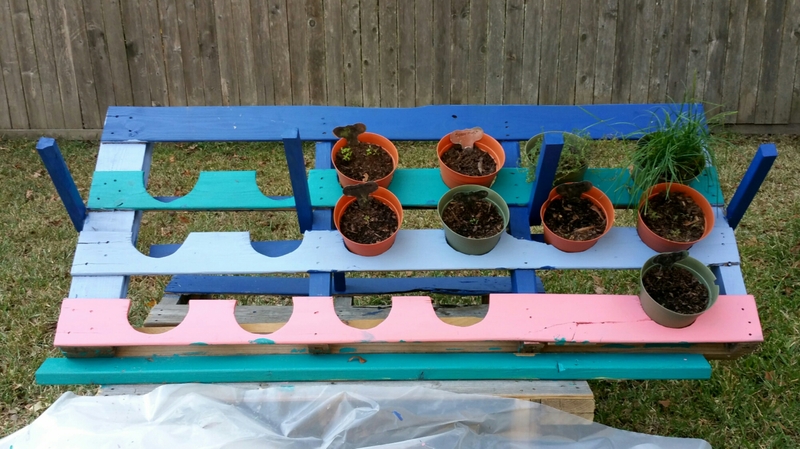 Food, clothes, houses with well-appointed rooms, gorgeous gardens with beautiful blooms, and pallet projects. 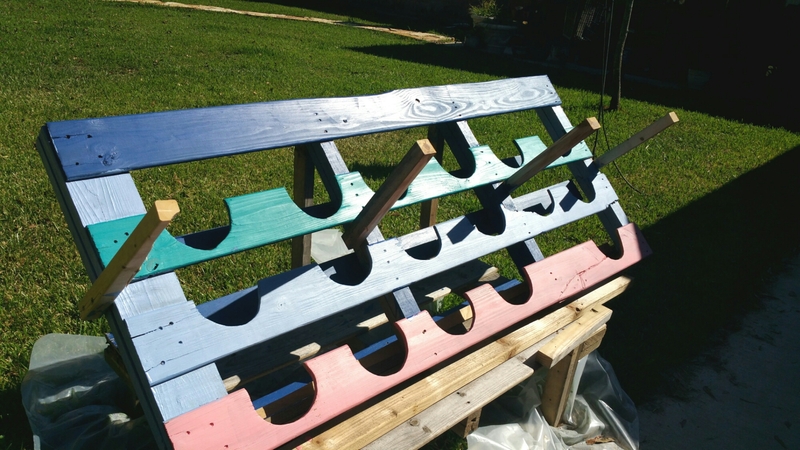 Oodles of pallet projects. I believe some of these pictures are lies. LIES, I tell you! Okay, maybe it’s just me. Well, it probably is me. I do have a tendency to reach for the stars when it comes to my big, Pinterest-inspired ideas. 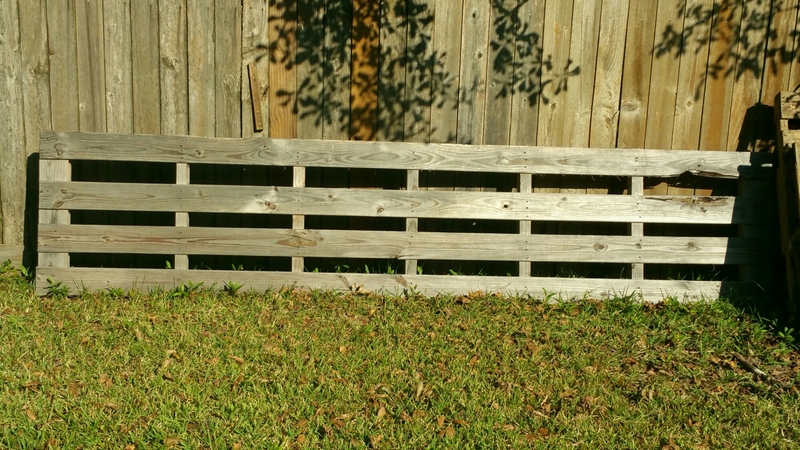 Our pallet project was one of these. 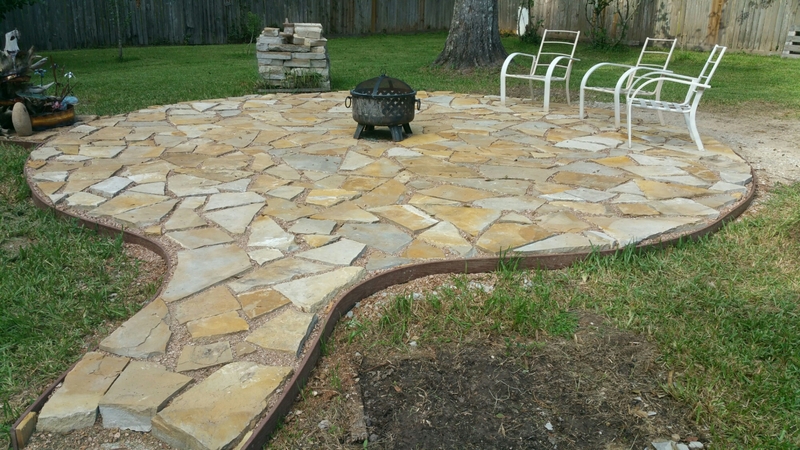 When we first moved in with my folks they were planning a big, stone patio and path for their backyard. The contractors ordered several massive pallets of stone, which were delivered and deposited around a big dug-up hole in the center of the yard. That is where they sat for three months. Contractors can’t lay stone in puddles I was told. So the stone, and the pallets they sat on, lay in the yard, in the rain, for those three months. Once the rains stopped the contractors got to work and laid the patio. 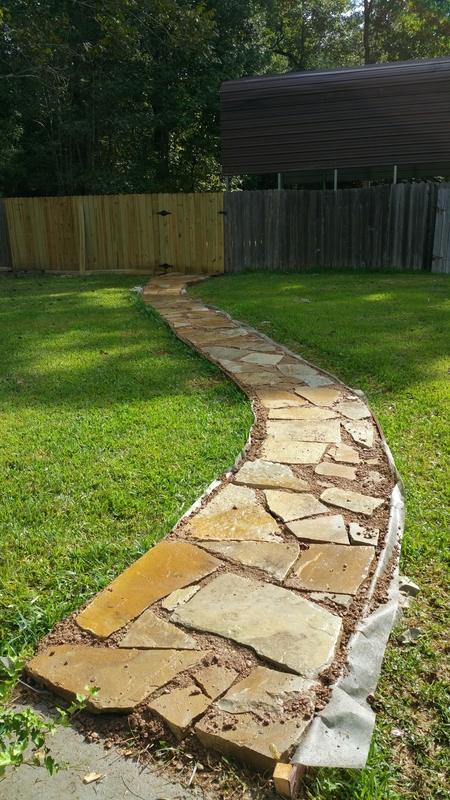 After they were done, my husband, my parents and I laid the pathway from the back porch to the gate. It was dirty, hard work. Each piece of stone weighed at least 50 pounds. I had a chance to exercise those newly developed, coop-moving muscles I have been working on all summer. Once done, we were left with the pallets the stone rested on all those long months. After three separate seedings of my herb and lettuce pots due to my hens being such sneaky little things, I was really getting tired of playing musical containers trying to keep them out of their fowl reach. Do you hear the angels singing? I sure did. A beautiful chorus of,”Hallelujah! 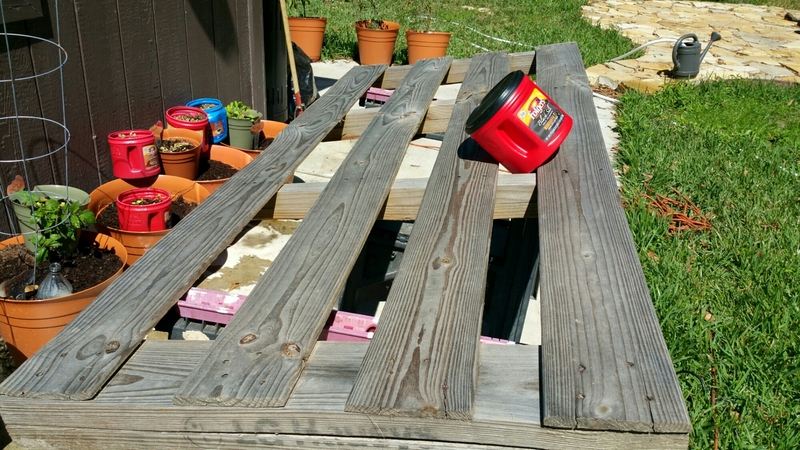 Your temporary solution to your temporary problem is here!” My mind quickly reeled with all the pallet projects I had pinned. 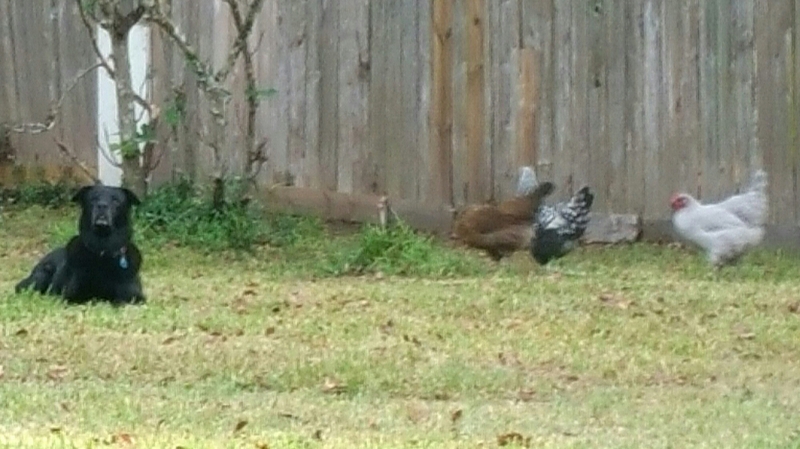 I had my answer to the chicken problem. I recruited my husband, whispering in his ear of how easy this would be and how wonderful it would turn out. I wanted this built so badly I told my dear, patient husband this was all I wanted for my birthday. No presents, no birthday dinner, no outing, just this planter. So he got to work. Now, I want to give you the full details of how it was done and with what, but I am going to be honest, we just used whatever we had on hand. 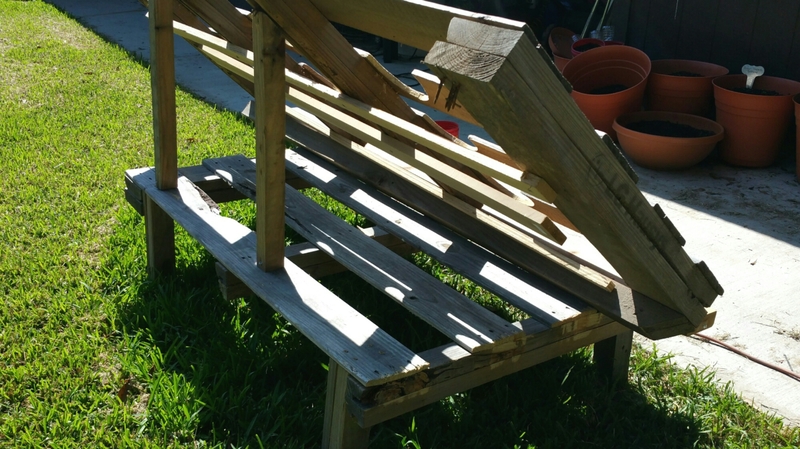 Left over wood, screws and paint from the coop build and a few pieces of wood that my father had lying around. We didn’t buy one thing for this planter. We just Frankensteined the crazy thing together. I did take some pictures during our creation of the monster, though. First we cut it in (almost) half. Leaving it 4 braces long. We used one of my saved coffee cans to measure the cut out for the pots. Then the cut outs were made. The wood was more than a little rotten in places , and either crumbled or shattered from the jig saw. We shored up what we could with little shims of wood and screws just to keep it from falling apart. We ended up not cutting one slot just because it was barely holding together there, and we knew we were already pushing our luck. Wood slats were screwed in on the back to hold the pots in and allow drainage. 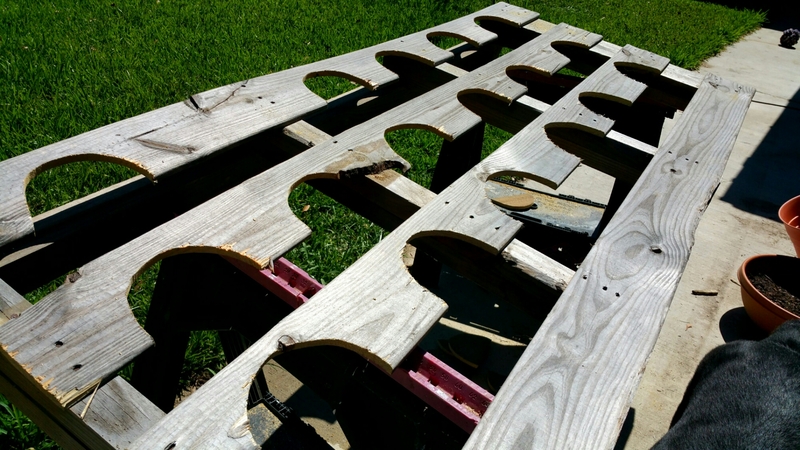 We used the other half as a base, and used 2-2×4’s cut to size and screwed together to make each of the legs. 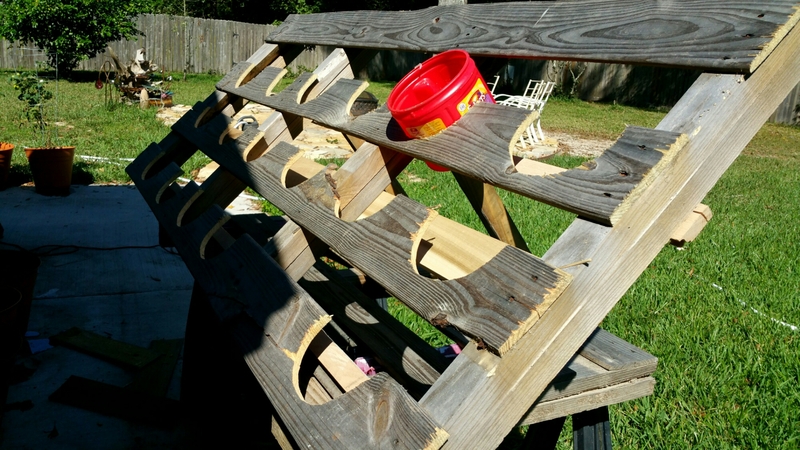 We also braced it in the back, screwing “posts” Into the pallet braces with long screws. The nails that were sticking out were ground off. We also braced it in the front using the remains of the 2×4’s we used for the legs. This was done AFTER we tried to move it, having only used long screws to fasten it to the bottom, and it fell into pieces..
Yeah, that was a fun moment. Cookie came over to mock our efforts, because she will go wherever and do whatever she wants. So, there. We screwed 2×2’s I to the braces to keep the plastic sheeting, that we will use as a cover, off the plants. This was not the original idea. I had this fantastic idea that we would use bendy board and leftover chicken wire as a hinged lid for the planter. It didn’t even remotely work in real life like it did in my head. Not. Even. Close. This was plan B. We then painted it with the leftover coop paint to protect the wood from further damage of the sun and rain. This was also not a tremendously well thought out idea. Not because of the paint, but because of the COLORS of the paint. 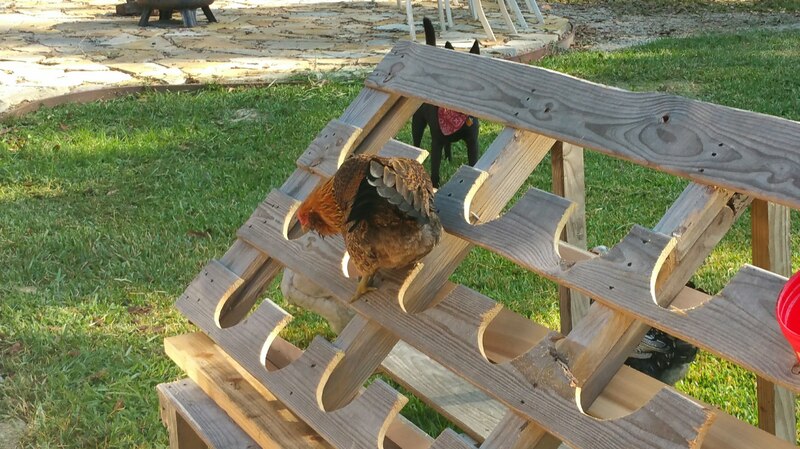 It looked like the coop, so the girls just assume it is their new jungle gym. Yeah. That was kind of the opposite of what this project was all about, but whatever. We were committed already, so we just kept on keeping on. It works, though. I still need to get some tennis balls to put over the 2×2 ends to keep them from tearing the plastic, but it is done. I have plenty of room for my herb pots, and will be moving my lettuce pots over soon. I can already visualize the strawberries I am going to plant in it this spring. I don’t know if I would call this a Pinterest Fail, as it is functional. With the plastic on it, the plants stay safe from my greedy girls’ hungry beaks. It is standing, even after we moved it to its temporarily-permanent spot. It is definitely a study of function over form, but I have my planter, the Frankenstein monster that it is. My husband still got me presents, and dinner, and took me out, because he spoils me like that. Then again, he may also have been just trying to distract me from the next crazy, Pinterest-inspired project that I may be dreaming up.